JINJA, Uganda, July 25, 2018 /PRNewswire/ -- SN Power AS ("SN Power"), a Norwegian hydropower company owning and constructing hydropower in emerging markets with focus on Africa and Asia, and SG Bujagali Holdings, Ltd ("SGBH"), a Sithe Global company indirectly owned by investment funds managed by affiliates of Blackstone, today announced the completion of the acquisition of SGBH's partial interest by SN Power in Bujagali Energy Limited ("BEL"), owner of the Bujagali Hydropower Project ("Bujagali"). The roughly two-thirds stake in the project has been acquired for approximately USD $277 million. Bujagali, a 250 MW hydropower facility located near Jinja, Uganda will continue to be operated by BEL. BEL's other shareholders are affiliates of the Aga Khan Fund for Economic Development ("AKFED") and the Government of Uganda ("GOU"), both of which will retain their interests in Bujagali. SN Power will, with their experience from operating other hydropower projects around the world, contribute to an effective operation of Bujagali. The investment by SN Power follows the project's successful refinancing with its lenders – including development finance institutions such as the International Finance Corporation and African Development Bank – which reduced Bujagali Energy Limited's annual debt-servicing payments, lowering the tariff of electricity produced by the hydropower plant. Today's announcement builds on the positive impact the Bujagali Hydropower Project has had on the Ugandan economy since it was commissioned in 2012. Bujagali generates almost half of Uganda's energy supply by providing clean, reliable base load energy. The cumulative inception-to-date savings from Bujagali are USD $1.9 billion and the cumulative CO2 emissions reductions are approximately 5.7 million tons due to the displacement of diesel generated electricity with hydropower. In 2043, Bujagali will be transferred to the GOU for one US dollar with an expected remaining life of 70+ years. Torger Lien, CEO of SN Power said: "I am excited by this agreement. It is good for all parties and ensures Uganda clean and stable energy for several decades in the future. It is also proof of our commitment to the long-term strategy on focusing on investing in sustainable hydropower projects in developing markets across Africa and Asia." Sean Klimczak, Senior Managing Director, Blackstone, said: "We are very proud of the pioneering role we were able to play as an early developer and investor in Bujagali and the project's many contributions to Uganda, from enhancing power generation to improving the competitiveness of the manufacturing sector. We remain grateful for the opportunity to partner with the GOU and we are confident that AKFED and SN Power are the best possible stewards for Bujagali going forward." Bilal Khan, Managing Director, Blackstone, stated: "Bujagali is a testament to Blackstone Energy Partners' ability to develop commercially successful greenfield power generation facilities in high-growth countries around the world, leveraging experienced management teams and working closely with local stakeholders. The strategy we crafted together with Sithe management over a decade ago has served as a model for our relationships with management teams currently engaged in power development initiatives in other regions, such as Fisterra Energy in Latin America, GenX in Southeast Asia and Zarou in the Middle East & North Africa." Nearly doubled capacity of the Uganda's power supply during peak periods. Increased supply of reliable electricity and eliminated load-shedding. Load shedding, which was a significant barrier to further economic development in Uganda, had been cited as resulting in losses to Uganda's GDP of 1.5% or greater. For the period 2011 to 2014, the total GDP increased 12.2%, of which 2.6% (20% of the GDP growth) was attributed to ceasing of load shedding and reduction in power outages. A total of more than 200,000 in job growth was attributed to the elimination of load shedding through 2014. Provided a reliable backbone for the Ugandan grid, averaging over a 99% contractual availability factor. Even before the refinancing, the project reduced the marginal cost of power by over 66%, reducing the cost to Uganda's power utility by over USD $280 million in the first year alone and USD $1.9 billion to date. Eliminated the need for huge subsidies to end user tariffs that cost Uganda USD $180 million per year and to channel these savings toward other crucial public-sector investment. In addition to the refinancing, GOU recently granted Bujagali an income tax holiday in furtherance of the goal of lowering the cost of electricity. These efforts combine to reduce the future cost of electricity over the next several years by approximately USD $90 million annually, or approximately 40% lower than if these steps were not taken. Improved air quality by reducing carbon dioxide emissions by 1 million tons per annum and reducing pollutants such as NOx, SOx and particulate matter. The project sponsors, led by the affiliates of AKFED, were selected in April 2005 through an international competitive tender overseen by the GOU based on the lowest return on equity. 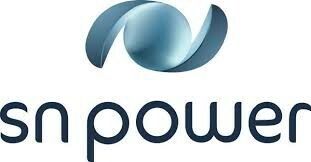 SN Power, established in 2002, is a leading hydropower investor in emerging markets. SN Power invests in clean, renewable energy on a commercial basis, focusing on hydropower. The company concentrates on acquiring, developing, constructing, and operating hydropower assets. SN Power currently operate, through our joint-venture partnerships, hydropower plants in The Philippines, Laos, Zambia, Panama and now Uganda. SN power is fully owned by Norfund, the Norwegian Development Finance Institution (DFI), who invests venture capital in profitable privately owned emerging market companies. SN Power's headquarters are in Oslo, Norway. SGBH, a company incorporated and doing business in Mauritius, is one of the original shareholders of BEL and an affiliate of Sithe Global Power, LLC ("Sithe Global"), an international power development company. Sithe Global is led by a seasoned management and technical team with extensive experience developing and operating large scale, socially responsible power generation projects. The Sithe Global management team has successfully developed power projects in nine countries with a capital investment in excess of USD $5 billion.